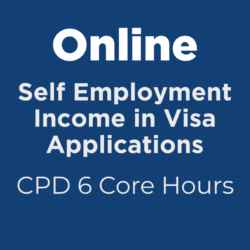 Online Continuing Professional Development CPD, Immigration Training, accepted by The OISC and SRA. 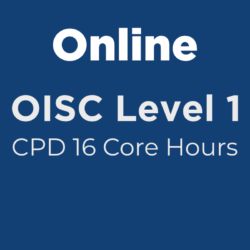 Online OISC Level 1 course. 1st 4Immigration Ltd is a practicing immigration company and accredited by the OISC to provide immigration services to the migrants. We also provide training to other current and prospective immigration professionals on a for-profit basis. We are not The OISC and not affiliated with any government organisation. We provide training on the immigration law which helps prepare for the OISC assessment and accreditation, where applicable, but training itself does not guarantee OISC accreditation. Unlike most traditional courses, ours is conducted using plain language and does not simply contain quotes from the Immigration Rules. We include cases studies from our practice, answers to most common questions, and a test. We keep our training as entertaining as possible! All courses are conducted at our office in the City of London: 68 King William Street, Monument/Bank, London EC4N 7DZ. Presented by our Senior Immigration Lawyer, Jules Motcho, Level 3 OISC. All course prices displayed are excluding VAT tax. This will be automatically added at checkout. View basket “Online self-study course: OISC LEVEL 1. CPD 16 Hours.” has been added to your basket. Our CPD provider ref number is 80001, which will appear on your certificate upon completion of our courses. Our CPD training is accredited by the CPD Standards Office and is accepted by The OISC towards your annual CPD credit. 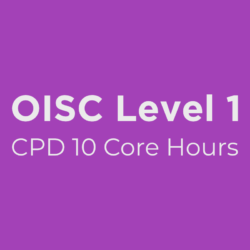 If you are preparing for your first OISC accreditation then your CPD credit will be counted from the date of accreditation. If you are already an OISC-accredited adviser then this course will credit the CPD hours. Study in your own time from any computer or iPad or iPhone. This course contains 150 pages in a PDF format. Complete the test, link will be sent to you, and email back to us. You need to score 70% in the test to be awarded CPD hours. We'll send you certificate with our CPD provider ref number so you claim your CPD hours with The OISC and SRA. Online self-study course: OISC LEVEL 1. CPD 16 Hours.